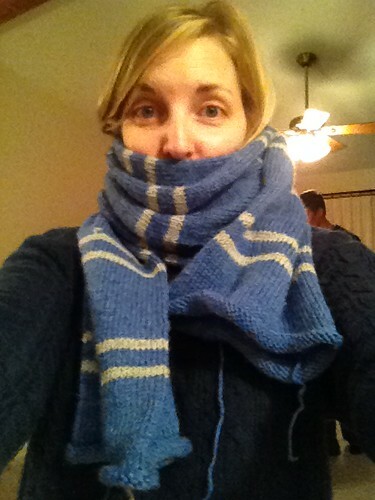 I’m not even kidding when I say I never want to see this scarf again. 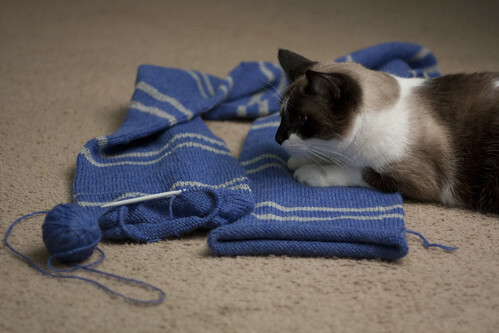 It was one of the first knitting projects I ever started and it took me over 8 years to actually finish. It was pretty boring so naturally I moved on to more complex projects throughout that time. 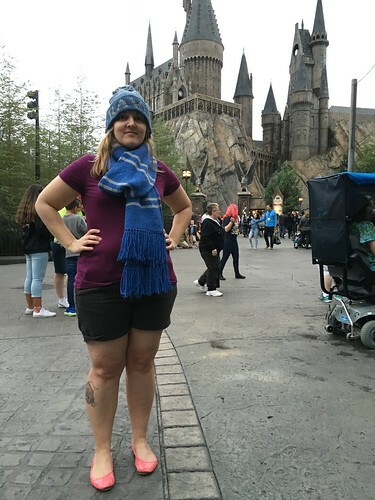 The first time I went back to it, I realized how many mistakes there were — so I frogged the whole thing and started over. 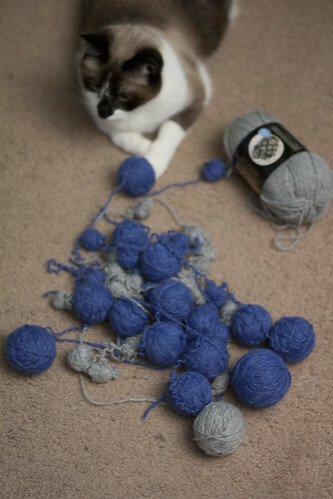 When I got back to it for the second time, I was a full-blown yarn snob and it’s just too bad I didn’t know any better about various fibers back in 2007. 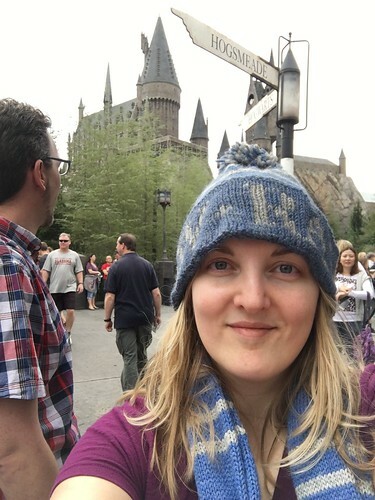 The hat was a very recent project (and finished about 1,000x faster), when I had leftover blue and grey yarn and had started planning my vacation to Harry Potter world. 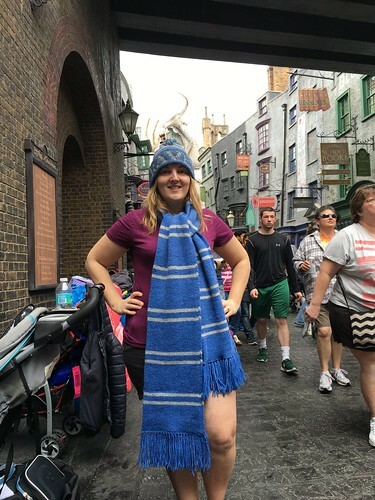 Of course I needed a Ravenclaw hat to go with my scarf! 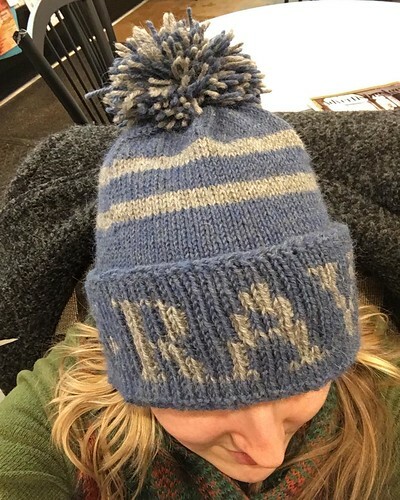 I found a photo of a Ravenclaw hat that I liked but I couldn’t find a pattern to match, so I went crazy and wrote up my own chart and pattern. I think it turned out pretty good for my first time! I plan to type it up someday and put it online, but I’m honestly glad to have some things accomplished and I think I’ll just go take a big nap first.